It’s time to talk about why this government shutdown is on Mitch McConnell, too. On Day 25 of the longest government shutdown in US history, we wanted to focus on what Congress’ most powerful Republican — Senate Majority Leader Mitch McConnell — is doing about ending the impasse. On Monday, Senate Minority Leader Chuck Schumer demanded, "It’s time for Leader McConnell to realize he has the power to break this impasse. Passing the House legislation to reopen the government. Legislation his party already supports." How did McConnell respond? Well, he’s said pretty much nothing about the government shutdown for days. 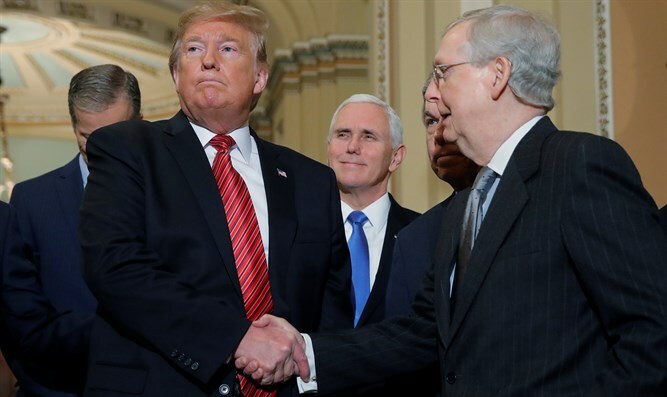 But he made his shutdown position very clear earlier this month, saying: "The Senate will not waste its time considering a Democratic bill which cannot pass this chamber, and which the president will not sign." You can look at this as McConnell’s effective legislative pragmatism at its best. Or, his cold-blooded political cynicism at its worst. Either way, it’s time to talk about why this government shutdown belongs to Mitch McConnell, too.